TWO MONTH COUNTDOWN IS STARTED... WE WILL BE OPEN SOON!! 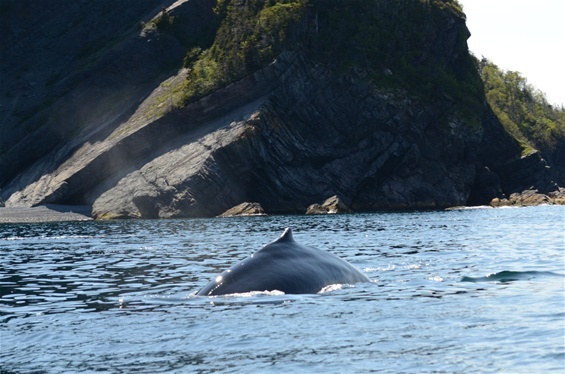 JUL 2014 SAW WHALES RIGHT OFF FORT POINT! 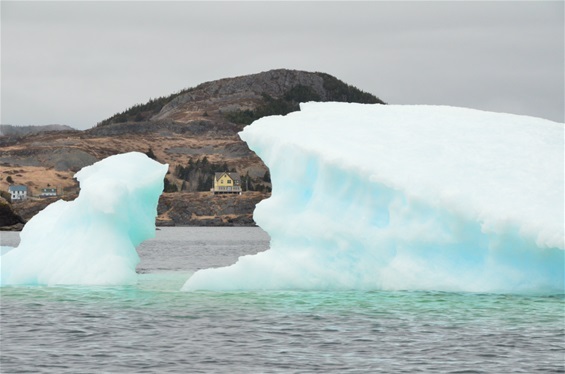 "COMMANDER'S KEEP" IS FRAMED BY ONE OF THE LAST ICEBERGS IN TRINITY BAY, AS RECENTLY CAPTURED BY S. JEANS FROM ON THE WATER. SUMMER IS ON THE HORIZON, AND SO ARE THE ICEBERGS! NEWFOUNDLAND'S 'BUMPER CROP' OF ICEBERGS MAKING NATIONAL HEADLINES ON THE NEWS! RIGHT FROM OUR DECK, AND ALSO FROM FORT POINT, ONE CAN SEE A DISPLAY OF ALL SHAPES AND SIZES OF ICEBERGS...ON THE HORIZON (NEAR 'HORSCHOPS' HIKING TRAIL, AND JUST OFFSHORE ...BEYOND "THE MAN ROCK", ON THE SEA SIDE OF THE POINT! MORNING HAS BROKEN...THE 2014 SEASON IS UPON US!! MORNING HAS BROKEN... SPRING IS UPON US!! 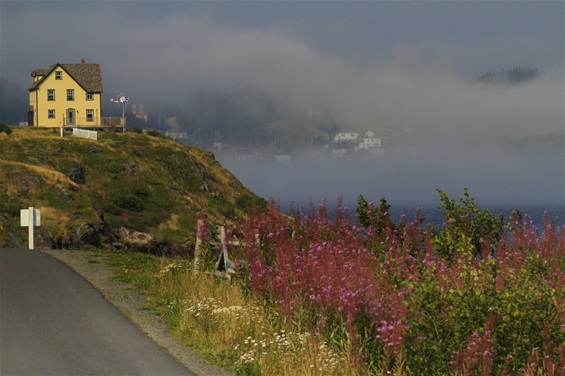 BUT THE SUN IS BRIGHT AS IT SHINES UPON TRINITY HARBOUR, SKERWINK, and THE LIGHTHOUSE on FORT POINT. LET OUR 2014 SEASON BEGIN!! A VERY WARM WELCOME TO OUR GUESTS! !